Denin provides professional insights and analysis on the Puget Sound commercial real estate market, reporting on the macroeconomic trends that affect the local office, industrial, multifamily and retail leasing markets. 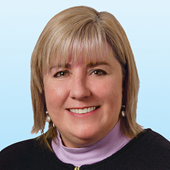 Mary Ryan is Colliers International’s Director of Marketing & Research for the Puget Sound Region. She leads all marketing and communications initiatives in the greater Seattle and Bellevue, WA markets, working with management to position the firm and its professionals as commercial real estate experts, and create and execute brand, promotional and business development strategies that achieve both corporate goals and service business plans. Ms. Ryan also oversees Colliers' Research operation in the region, providing guidance on the collection, analysis and use of information to the benefit of both clients and firm professionals. Ms. Ryan’s responsibilities include the support of business pursuits through presentations, proposals and innovative tools; development of new collateral, thought leadership, and content marketing; promotion of the Colliers identity; execution of internal and external communications and public relations programs; maximization of social media and digital marketing; production of accurate and timely market information and evaluation; and incorporation of innovative ideas, cutting-edge technology and best practices into the Puget Sound platform.